Remodeling your interior is an exciting opportunity to give your home a new look and feel. Establish a sense of timelessness with stone tile flooring. With our selection of flooring materials and remodeling resources, you have everything you need to redefine your space. At our flooring and remodeling center in Twin Falls, Idaho, we make it easier to start your next project. Improve the value of your property with confidence--we are here to help. It is little wonder why homeowners are investing in stone tile floor. Stone tile is built to last and look great. This flooring material, originating from rock, is available in many different hues and shades with decidedly “earthy” tones. Many of our products impart a sense of warmth, encouraging a welcoming atmosphere. Give your property a refined appearance with stone flooring. Tile is available in many different shapes and sizes. As such, you are welcome to mix and match samples to create a unique pattern for your home. So whether you wish to craft a classical floor or something a bit more modern, stone flooring is a great material to realize your creative vision. It is no secret that stone is a dependably durable flooring option. Let the building material that has stood the test of time improve your home. Stone tile is dense and finished with a protective finish. As such, this flooring is highly resistant to scuffs, spills, scrapes, and heavy foot traffic. These characteristics make stone flooring a great choice for living rooms, kitchens, and bathrooms. Stone has no fibers to attract dust and dirt, so messes are easier to spot and clean up. Simply use an approved cleaner and a rag, and you will keep your flooring looking neat and new for years. 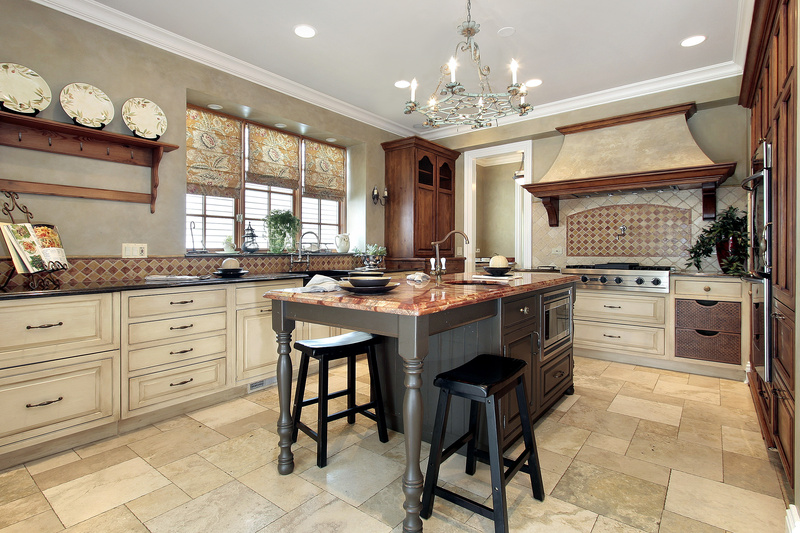 Hands down, stone tile flooring is a great choice for active households. Choose flooring you will love for years to come. When you visit our showroom, you will get to view samples of stone flooring so you can make your choices with confidence. If you need some inspiration, our friendly associates are always available to help. We keep up with the latest trends in remodeling so you can always discuss your goals and concerns with us. Don’t forget--we also facilitate stone tile floor installation. We work with trained and experienced flooring technicians so you can complete your remodeling project with total confidence. Our technicians will measure your project space, remove old flooring, and install your new flooring according to your schedule. Contact us to learn more about our selection of stone tile flooring. We proudly serve property owners throughout Twin Falls, Idaho, as well as the surrounding area.